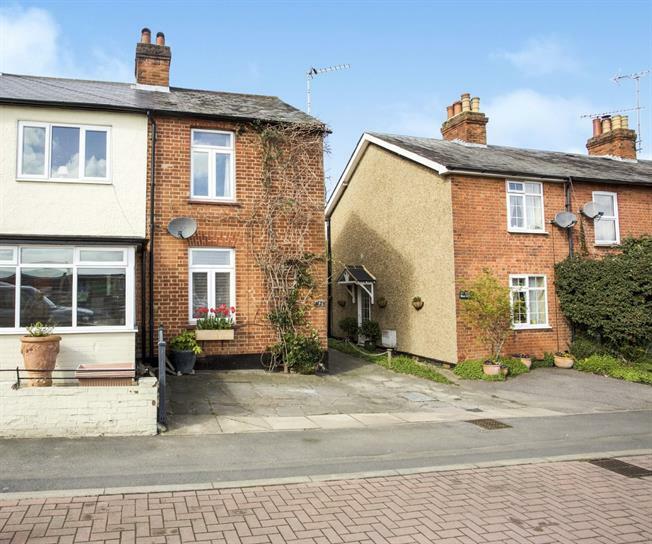 2 Bedroom Semi Detached For Sale in Bagshot for Asking Price £320,000. Constructed in 1873 is this delightful two bedroom semi detached cottage offered to the market with no onward chain. The property is located a short distance away from Bagshot village which offers a variety of shops, cafe's, restaurants and every day local amenities. For the commuter, Bagshot station is located a short walk away whilst the M3, J3 is within easy access. Internally the property is very well presented throughout and offers a cosy feel with many character features including an open fire place in the spacious lounge diner. Further accommodation comprises a kitchen, bathroom and two spacious size bedrooms upstairs. The rear garden is a superb size with a large decking area ideal for entertaining. To the front of the property offers driveway parking. For further information or to arrange a viewing please call Carson & Co on 01276 476161.